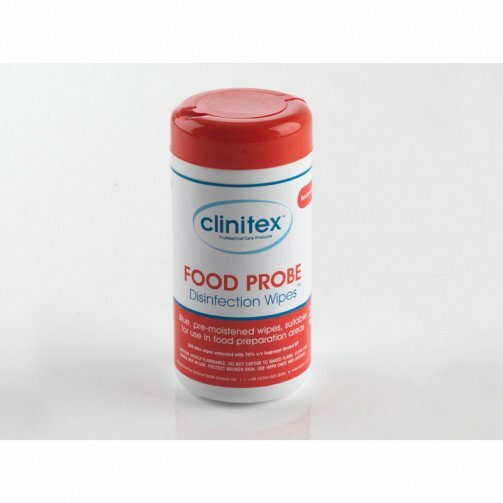 Clinitex food probe wipes x 150. Each wipe measures 13 cm x 13 cm. 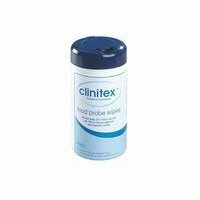 This is a low odour product which is very easy to work with. 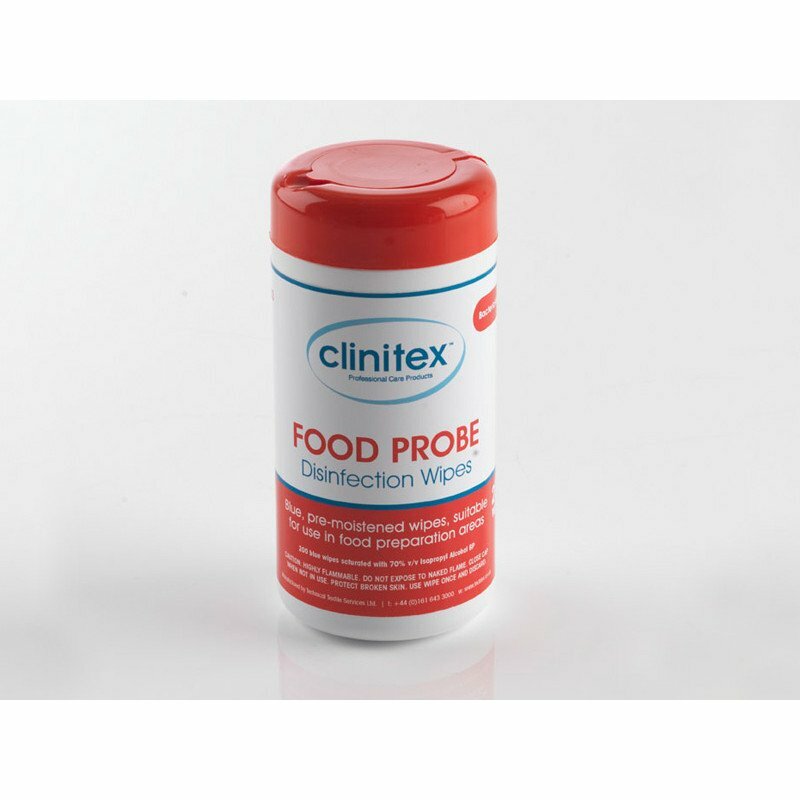 The wipe is coloured blue so that can be used in food preparation areas. Independently tested disinfection.